A stylish go-anywhere, do-anything power bank. VIS will be there for you at precisely the moment you need it. VIS explores what is possible when utilizing the worlds leading battery pack technology. Inside the brushed stainless steel casing sits a 6,000 mAh Cobalt B lithium-ion battery. 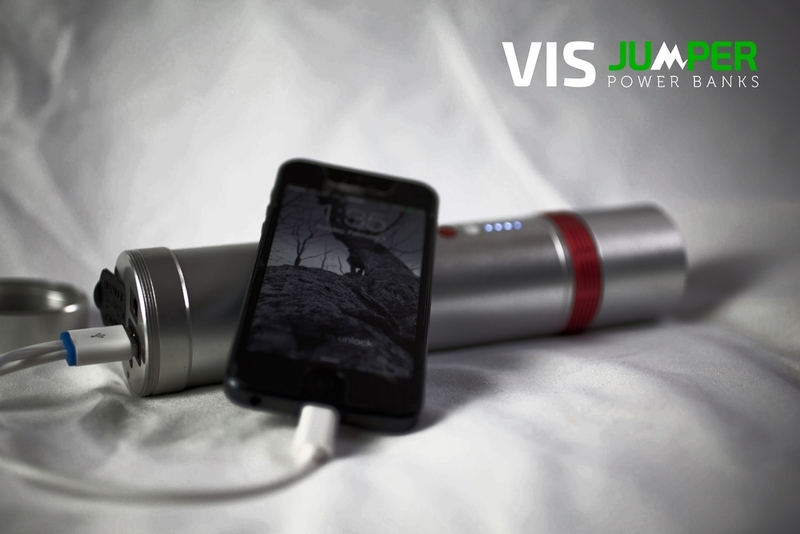 VIS will charge your mobile phone, tablet, camera and any other USB compatible device as well as all 12V appliances. 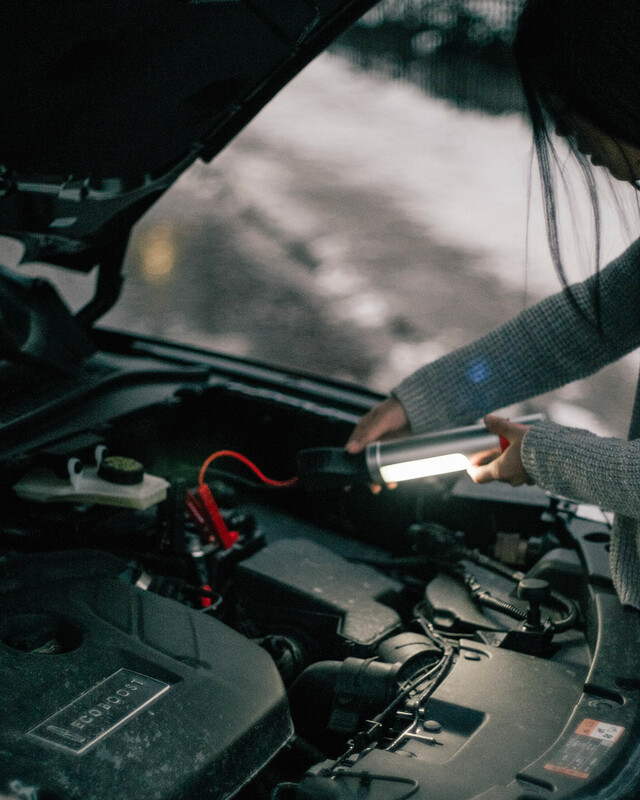 On the road, VIS will make simple work of jump starting your dead car battery, turning a long and unwanted wait for a tow truck into smiling faces on the open road . 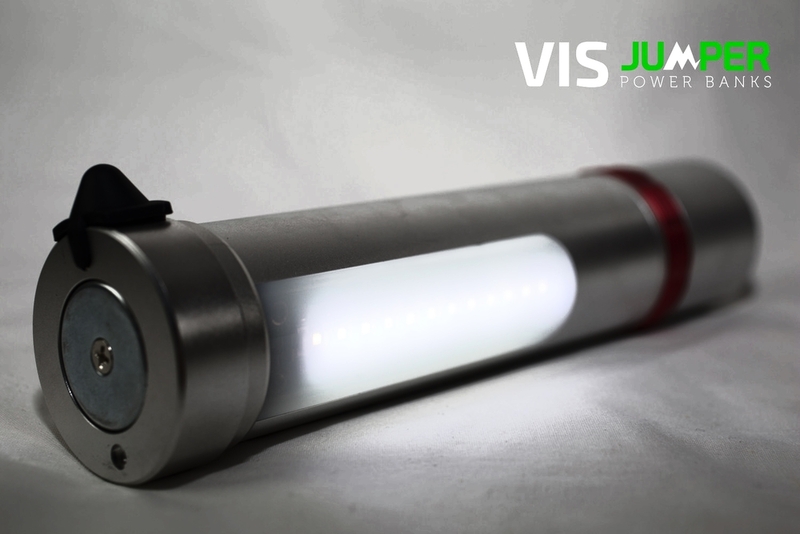 Through adventures, planned or not, VIS will be there with its high power flashlight, magnetically mountable white and red LED strip-light and emergency hammer. We built VIS to come in handy through all of life's unforeseen situations. Three mode (beam, strobe, sos), three setting (high, medium, low), white and red LED strip light. Cased inside the emergency hammer component cap sits a high strength magnet designed for stationary light mount. Three mode (beam, strobe, sos) of high powered (3W), range adjustable, all purpose torch. Jumper cables, three prong usb charging cable and both AC and DC chargers for VIS. VIS means useful power in Latin.